With the 2018 Winter Olympic Games starting today, we are looking back on Olympic history here at Granlibakken Tahoe. 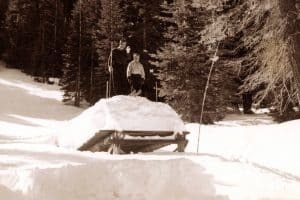 Granlibakken's first foray into winter sports began in 1922, when it was called "Ski Canyon" and used as a winter recreation area by locals. 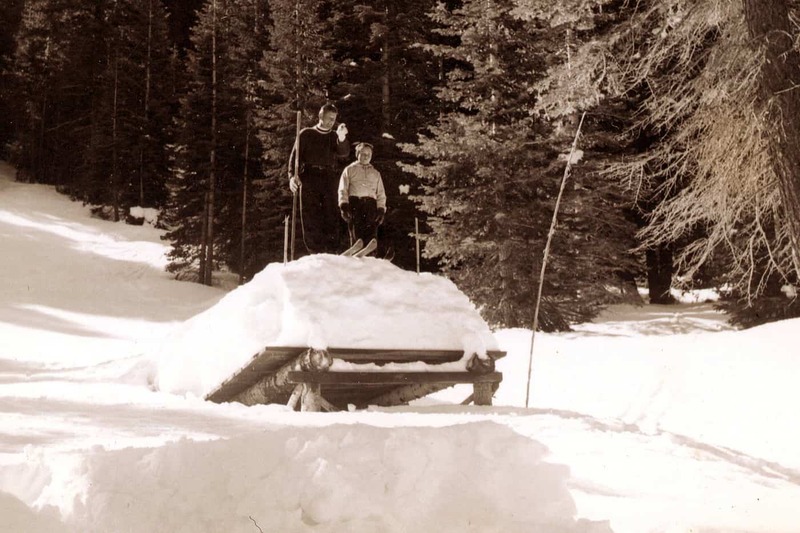 In 1926, The Tahoe Tavern, located a half-mile from Ski Canyon, stayed open for its first winter season. 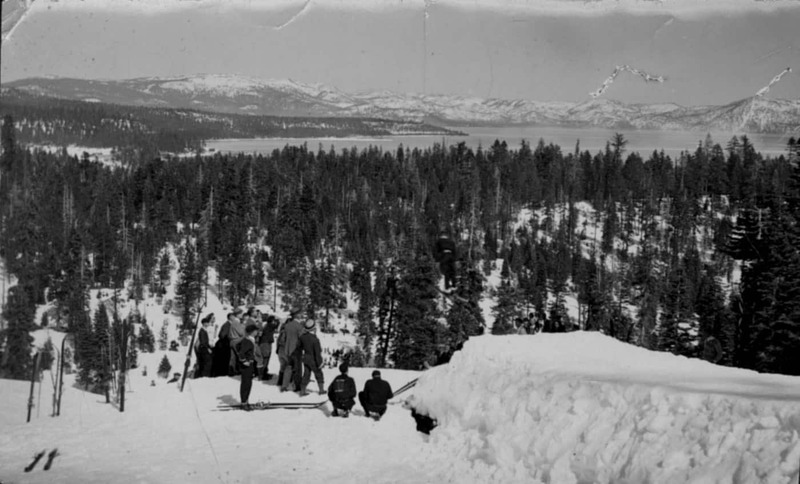 The "Snowball Special" run by Southern Pacific Railroad transported guests from Sacramento and San Francisco to the Tahoe Tavern, where they would take a horse-drawn sleigh the half-mile to Ski Canyon. In the early days of ski competitions, jumping was hugely popular. As a spectator sport, it was adrenaline-inducing and easy to understand-important for a sport that so few were able to participate in. Prior to the construction of resorts, rope tows, chairlifts, and modern skis, many spectators had never been on a set of skis--but they understood ski jumping. Recognizing the attraction that a ski jump would be, the owner of the Tahoe Tavern, lumber and mining magnate D.L. Bliss, appropriated $3,000 to a ski jump. The jump was built in 1929 under the supervision of Lars Haugen, a celebrity in the ski jumping world, and a professional ski jump consultant. The jump constructed by Lars Haugen and his team was used for ski jumping exhibitions, and put Lake Tahoe as well as California as a whole on the map for ski jumping and winter recreation. With the development of this new ski area, the California Chamber of Commerce lobbied for Ski Canyon, which was renamed Olympic Hill in the late 1920s, to be the site of the 1932 Winter Olympics. The 1932 Summer Olympics were held in Los Angeles, and it seemed logical that the Winter Olympics also be held in California. However, years of promoting Southern California's sunny and warm climate now worked against this goal. The Winter Olympics were awarded to Lake Placid, NY, as the Olympic Committee did not believe that California had the snow to host the winter games. Despite losing the bid for the 1932 Winter Olympics, Olympic Hill (formerly Ski Canyon) was the site of a dual meet in February 1931. This meet was the Olympic Ski Jumping Trials, and also served as California's first ski jumping state championships. It is estimated that about 3,000 people attended the event-the largest crowd to meet at Lake Tahoe up until that time. Olympic Hill had another win in 1932--due to the hard work of Wilber Maynard, who served as manager of the Southern Pacific Hotel in Truckee and was the western vice president of the National Ski Area Association (NSAA). Maynard convinced members of the NSAA to host the 1932 National Ski Jumping Championships at Olympic Hill February 26-28, 1932-directly following the Winter Olympics in Lake Placid. Showing the members of the NSAA photos of the ski jump at Olympic Hill and arguing that California does indeed have snow, Maynard managed to convince the committee. The National Ski Jumping Championship was awarded to the Lake Tahoe Ski Club, to be held at Olympic Hill. This Ski Jumping Championship was notable-it was the first to be held west of the Rockies, and is to this day the only National Ski Jumping Championship held in California. At the National Ski Jumping Championship, over 200 competitors representing 109 ski clubs from around the nation competed. Cross-country ski races around the 74 acre wooded valley were also held, and women's ski jumping exhibitions were hosted at the jump. 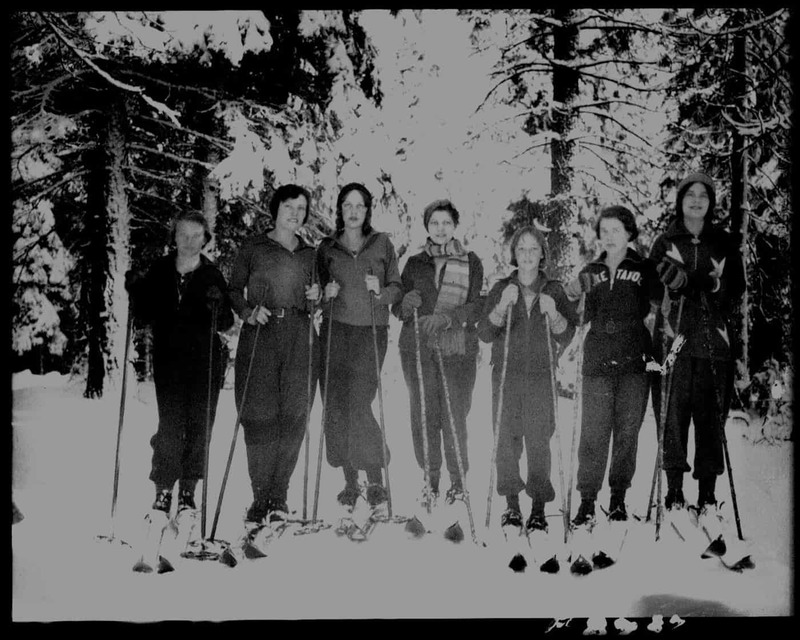 Sigrid Stromstad, a strong downhill and cross-country skier as well as a local celebrity in the Tahoe region for her athletic talent and her helpful ski lessons offered to Tahoe Tavern guests, jumped and competed in the cross-country ski championships. 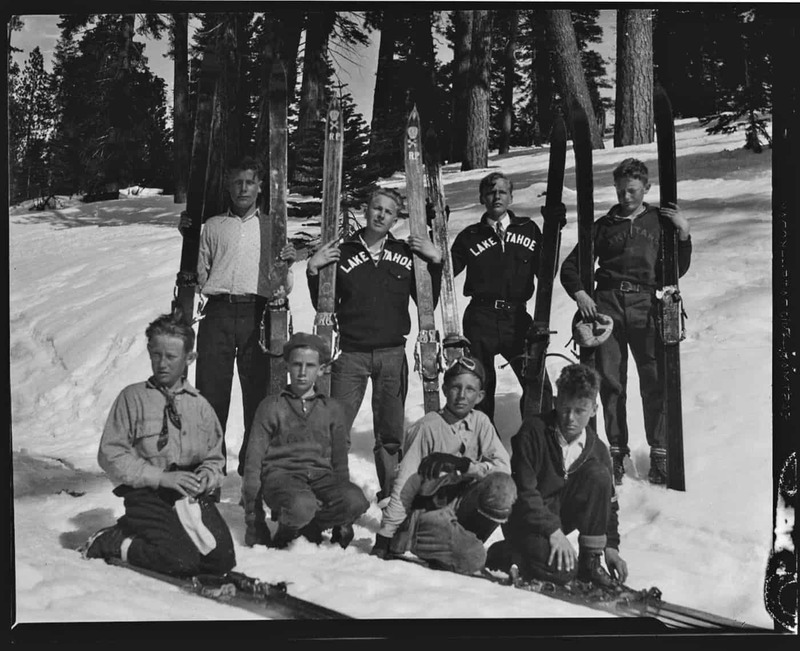 Between 1932 and 1936, Olympic Hill was selected to host three California Ski Jumping Championships, and held a number of other tournaments hosted by the Lake Tahoe Ski Club. Many of these tournaments drew the leading ski jumpers at the time, and huge crowds. 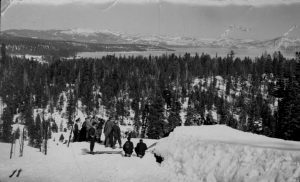 In 1939, the Lake Tahoe Ski Club further developed the hill, building a rope tow, a more robust warming hut, and a 1,000 foot jump. However, WWII all but stopped all ski jumping competitions in the region. After the war, in 1947, a Norwegian ski jumper, sailor, and graduate of the Royal Norwegian Naval Academy, Kjell "Rusty" Rustad, assumed operations of Olympic Hill. Renaming the area to "Granlibakken," which means "a hill sheltered by fir trees" in Norwegian, Rusty maintained the jumps--including a novice jump on Granlibakken grounds. In 1952, the Junior National Ski Jumping Championship was held at Granlibakken. Rusty also further developed the ski area-adding lodging, a warming hut with a snack bar, grooming, night skiing, and more rope tows to access the terrain. Despite larger resorts opening in the area, Granlibakken remained one of the foremost areas for ski jumping and was a great hill for novices to learn on before they moved on to the larger slopes. Today, Granlibakken honors its history in this region. 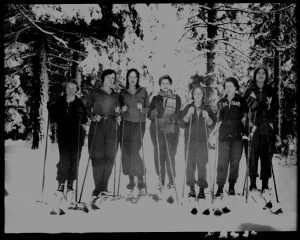 The 1960 Olympic Nordic Ski area was not far from Granlibakken at what is now Sugar Pine State Park, and Squaw Valley, host to the 1960 Winter Olympics, is just an eight mile drive from Granlibakken. Although Granlibakken itself never hosted the Olympics, a number of Olympic athletes and hopefuls have competed and practiced on the slopes. The jumps are gone, and many of the legends only exist in memories, but Granlibakken still holds a special place in the Tahoe region as a historic resort where generations of locals and visitors alike have learned to ski, race, and jump on two planks. This year, Granlibakken is celebrating 95 years of winter fun with 5 months of prizes, giveaways, and more. Click here for details.